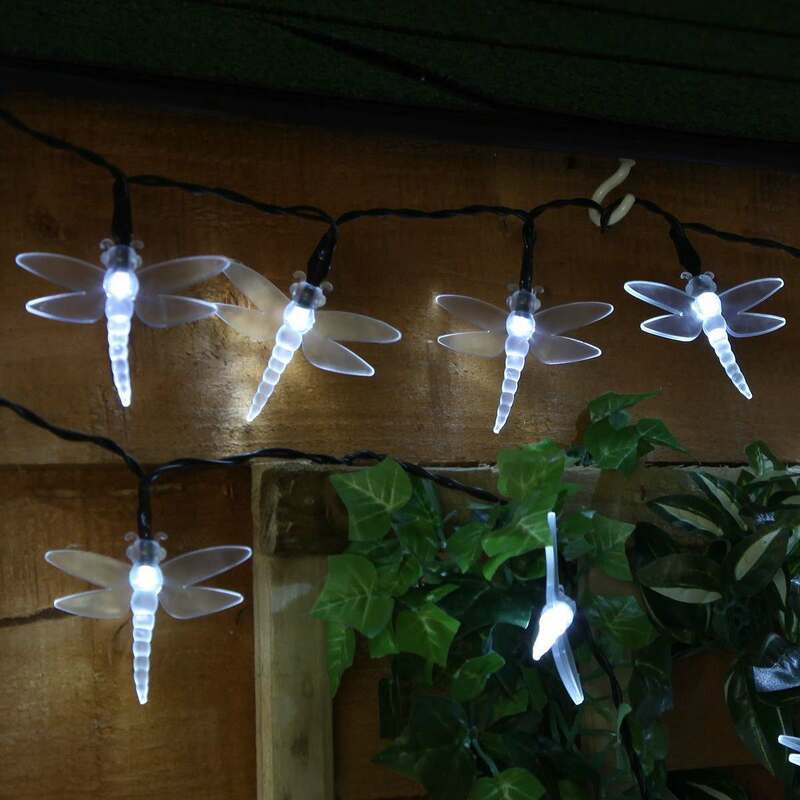 Product details - This set of solar dragonfly fairy lights is perfect for creating a magical effect within your garden. 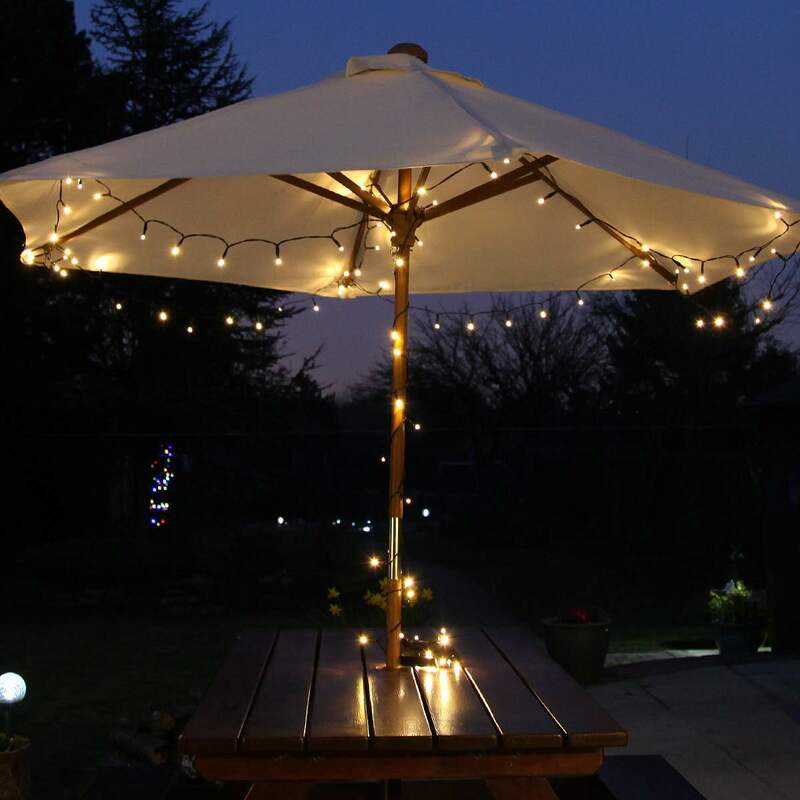 Consistently one of our most popular products, they are ideal for brightening shrubs, trees and decorating pergolas or umbrellas. 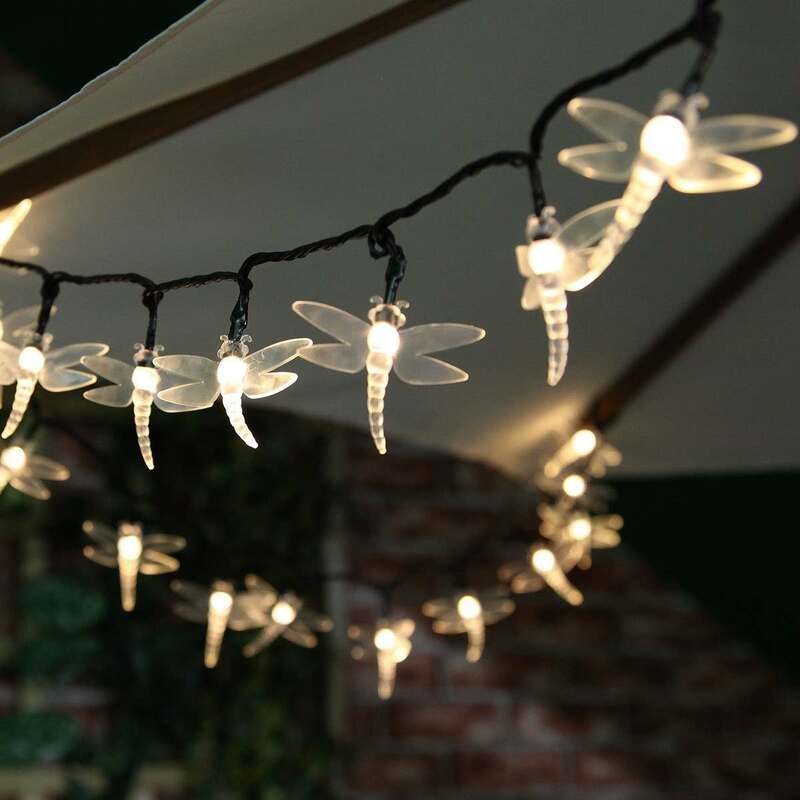 This set features leds, in a variety of colours including white, warm white and multicolour, on either a 5m length, with 50 leds, or 10m length, with 100 leds, making them ideal for any size areas that require illumination. Incorporate them anywhere around the garden to create a magical effect, especially brightening areas such as bushes, trees and pergolas. Choose between 8 different functions, creating a look on your garden that is suited individually to your needs. Please note the dragonfly caps will need to be manually attached to each bulb.